Luminescent effect to brighten any background. Capiz shell, which is used for decorative purposes, is the outer shell of the marine mollusk, Placuna placenta, found in the shallow coastal waters of the Philippines. Capiz shell is a flat, semi-transparent shell with a pearlescent appearance. 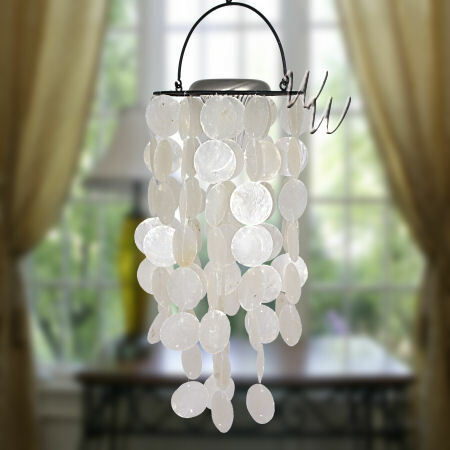 Capiz is often used to create wind chimes or other luminescent objects, because of its striking appearance when light shines through. To view a page with more details about a chime, click its link or picture.